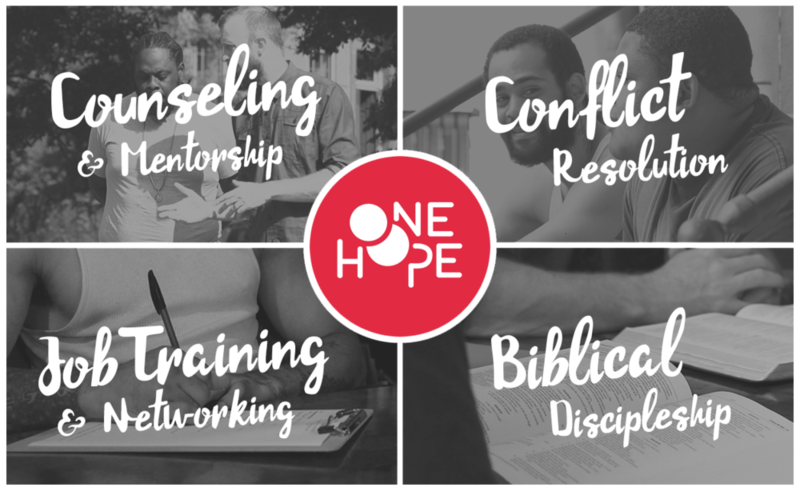 ONE HOPE Life Coaching seeks to train adults and students for work which includes mentorship, connection to a job network, counseling, and life skills. ONE HOPE Life Coaching offers practical opportunities for help and hope in the community. - individualized interaction with a life coach that provides support and care to help each person in their pursuit of personal goals. -connecting the individuals in the community to mentors from the church.